We always knew they were coming back. After INDEPENDENCE DAY redefined the event movie genre, the next epic chapter delivers global spectacle on an unimaginable scale. Using recovered alien technology, the nations of Earth have collaborated on an immense defense program to protect the planet. But nothing can prepare us for the aliens’ advanced and unprecedented force. Only the ingenuity of a few brave men and women can bring our world back from the brink of extinction. 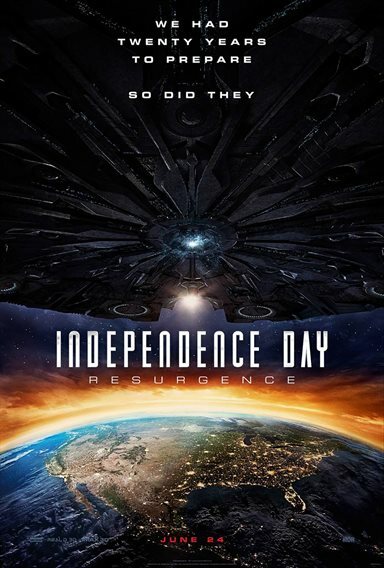 Download Independence Day: Resurgence in Digital HD from the iTunes store. Independence Day: Resurgence images are © 20th Century Fox. All Rights Reserved. In 1996, Independence Day became the biggest movie of the summer. An alien invasion meant certain annihilation for the entire world. Will Smith's (Ali) character was the cocky fighter pilot who saved us all and cemented his career as a bona fide movie star. Bill Pullman's (American Ultra) presidential speech was the locker room pep talk to end all pep talks. Of course, we ultimately won the showdown and the Aliens were defeated. Twenty years later, the alien spaceship in the African Desert suddenly "wakes up" and strange activities, including odd drawings, have been observed by humans worldwide. 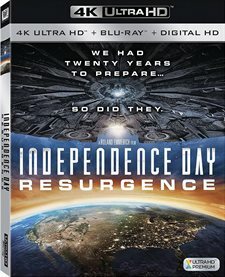 Independence Day: Resurgence, out now on Blu-Ray and DVD, brought the original blockbuster film back into the forefront of our minds and audiences were excited for it's sequel. Sadly, it didn't live up to it's predecessor and wasn't the hit summer movie the studio had hoped it would be. The earth has enjoyed relative peace and technological growth for twenty years, but when an alien spacecraft shows up outside the moon's space station, panic and fear run high and we end up blowing it out of the sky. Unfortunately a bigger, stronger alien ship shows up in its wake and latches onto earth. Once again, we are subject to alien attack with little chance of survival. However, when the first alien spacecraft turns out to be friend, not foe, us mere humans figure out a way to try and defeat our enemy once again. The cast of this sequel includes some of our original favorites including Pullman, Jeff Goldblum (Jurassic Park), Judd Hirsch (Numb3rs) and Brent Spiner (Star Trek: The Next Generation) and they are as entertaining and enjoyable as ever. Joining them are some up and coming talent, such as Liam Hemsworth (The Hunger Gamesseries), Jessie T. Usher (Level Up), and Maika Monroe (Labor Day). While these younger actors are fairly good, they aren't as memorable as the older ones and have less of an impact. The 4K Blu-ray is presented in 2160p resolution with an original aspect ratio of 2.39:1. While 4K has the best quality picture and sharpness, it can be a problem with films that have a lot of special effects. Because the quality is so good the aforementioned effects tend to look fake and cheesy and, unfortunately, Independence Day: Resurgence suffers this fate. I often felt as though I was watching one of those opening sequences of amusement park rides used to get the audience into the mood for their "adventure". If you don't happen to be watching the 4K version I'm sure the effects look pretty great which can only add to your viewing experience. The audio fairs better, as it is Dobly TrueHD 7.1. The quality is fantastic and the surround sound envelops the viewer for a very pleasurable experience. The audio mix isn't the best though, and I often had to adjust the volume between the dialog and the explosions, though it wasn't as bad as some of the other Blu-rays I've watched. • The War of 1996 (1080p; 5:11) is a "fake" look back at the events of the original movie. 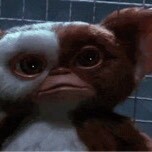 This sequel will sorely disappoint those who found the original film to be one of the best movies of all time. The new cast members aren't as strong, the script isn't as good and the story is pretty much the same as the first one. However, with the newest technology, the special effects are better than the original ones of twenty years ago, which is always a big audience draw. If you own the first film, I suggest buying this one so you have both in your collection, but, as a stand-alone, it doesn't excite as much as the original. 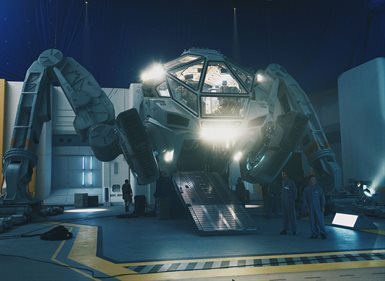 Independence Day: Resurgence images © 20th Century Fox. All Rights Reserved. Can't believe it's been 20 years! Hopefully this is cheesy goodness like the first. Yay I can't wait to watch it since the first one was good! Prepare for the next Annihilation Of War. Liam Hemsworth suplirá a Will ? Do we need another one? Does this mean I'll be dead for ID3? This took forever!